If you’re worried about the integrity of your car windows, you can trust the highly trained team at National Windscreens to provide reliable mobile car window services in Albury. We can also assist locals in the surrounding areas of West Albury, Glenroy, East Albury, South Albury, North Albury and Lavington. In addition to providing the above services for standard vehicles, we can also provide reliable services for trucks, buses and light commercial vehicles. Regardless of what you drive, our mobile car window services can ensure you’re back on the road again sooner rather than later. All work we carry out is covered by a lifetime guarantee, providing you with peace of mind. 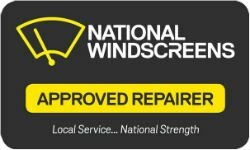 National Windscreens is the best choice when you need prompt windscreen repair or windscreen replacement services in the Albury region and surrounds, including West Albury, Glenroy, East Albury, South Albury, North Albury and Lavington. To make a booking or learn more about our services, contact us today.